One of the guests, known as Piglet, at the meals for the homeless and needy Tuesday night in Bucks County, PA took up three chairs – one for her and two for her stuff. It was crowded, as is the case with the growing homeless population in Bucks, and seating was tight. When a woman confronted Piglet about taking up extra spaces, she explained she needed to because she is 59 years old. “I am 89 years old,” the woman retorted, and told her to move her baggage off the two chairs. Piglet is one of a few rogue guests who frequent to homeless/needy meals who have been competing for the Noble Savage of 2019 award. These rogues, by the way, are not homeless. They have been hogging space and purloining items that the homeless need more than they do. One thing Piglet is famous for is jumping in line, making sure she is first in line, telling people she has to catch a bus (as though nobody else has places they have to go). 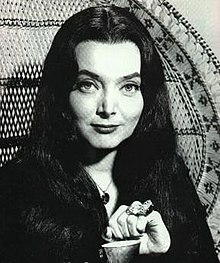 Another competitor for the Noble Savage award is Morticia Addams, who is famous for pulling tricks to abscond with great amounts of items such as sodas. On Tuesday, when I went to get sodas for myself and folks at my table early in the meal, none were left! Morticia’s husband Gomer is said to be her accomplice. At Tuesday’s meal, one of the host told her to limit what she took of certain items. Gomer demanded the host apologize to his wife! Really? The perpetrator owes the homeless and other folks who attend the meals an apology! One competitor for the Noble Savage award, who came under serious competition from other savages was said to really go over the top late in the week prior to Tuesday’s meal. The meal runs from 6 p.m. until 7 p.m. Birdman arrived at the meal at 6:55. One soda was left. But he demanded the host bring him another soda. To top that, he demanded the host make a fresh pot of coffee, five minutes before the meal was over! The majority of people who frequent the meals act civilized. It’s some of the non-homeless but needy that have been acting selfishly, rudely, at the meals, callous in regards to the needs of others. In contrast, on one occasion recently, one guest gave some cereal the host gave her and her boyfriend to someone with children, who needed the food more than they did. This is how we should treat others! We should practice acts of kindness and selflessness! Philippians 2:2-8 2then make my joy complete by being like-minded, having the same love, being one in spirit and of one mind. 3Do nothing out of selfish ambition or vain conceit. Rather, in humility value others above yourselves, 4not looking to your own interests but each of you to the interests of the others. 5In your relationships with one another, have the same mindset as Christ Jesus: 6Who, being in very nature God, did not consider equality with God something to be used to his own advantage; 7rather, he made himself nothing by taking the very nature of a servant, being made in human likeness. 8And being found in appearance as a man, he humbled himself by becoming obedient to death- even death on a cross!